I wrote this song as a sort of rollicking sea shanty. It’s just one of those things that spontaneously came forth! Our kitty, Callie, makes an entrance at the end. 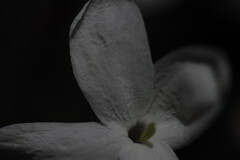 Carolina Jasmine flower in the moonlight. 60-second bulb exposure.